31 Days of Outdoor Activities for Toddlers - I Can Teach My Child! In January of 2016, I shared a 31-day series on Indoor Activities for Toddlers. We had such a great time that I decided it was time to do a companion series of 31 Days of Outdoor Activities for Toddlers! And in all honesty, I desperately need some accountability for doing activities with my daughter (3 years old) during this hectic month of field trips and crazy school schedules! Starting today (May 1st), I will be starting a new series featuring 31 Days of Outdoor Activities for Toddlers! 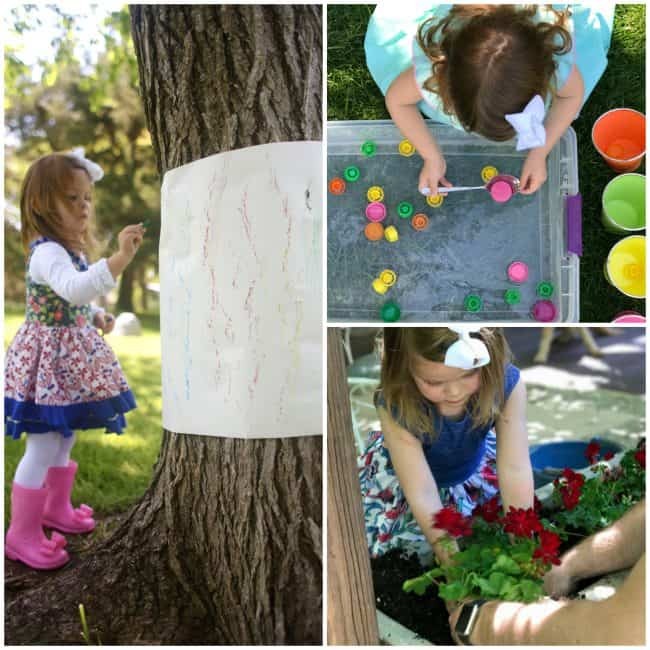 Some toddler ideas will be simple and some will be more complex, but all will be fun and outdoors…even in the midst of the crazy weather that May in Midwest sometimes brings! Many activities will be shared as new posts on the blog, but some will only be shared on Instagram. If you aren’t already following me, you can find me here. You can also follow the hashtag #31daysofOutdoorToddlerFun. Please also use the hashtag to tag your own photos as you participate with us! 26. Trip to the Zoo! I will try these activities with my little princess during her holiday now. Thanks for this worth sharing. Thank you so much for sharing. I am planning to open a preschool in Africa and a lot of information you shared can be modified to be used here in Africa. Thanks! We have nine months of lovely weather and the outdoor activities are perfect! Thank you! Look colorful and I love colorful and kid so much.Thank for your cool sharing. I can’t wait to try these activities with my prince ^^. Thank you so much for your wonderful sharing! Wonderful activities I would love to do these activities. woww !! 31 days is definitely an exciting and memorable experience for the young! !